The Municiplaity of São João da Madeira has recently met 3 groups of schools and 3 ONG’s that we’ll be directly involved in YARD project: School Oliveira Júnior; School Serafim Leite and School João Correia. The main goal was to present the project phases and to plan common activities to work together on the topic of the project and promote education on anti-discrimination actions led by youth. The NGO’s who took part to the meeting are CERCI (an Institution for disabled people), Ecos Urbanos (a Youth Association) and Cine Clube (a social and cultural association). Since these organisations work to promote social inclusion, the Municipality of São João da Madeira is aiming at involving them to take action and join our project organising a public show and an open debate (or “tertulia“, in portuguese) to raise awareness on the impact of public actions to fight discriminations in our societies. 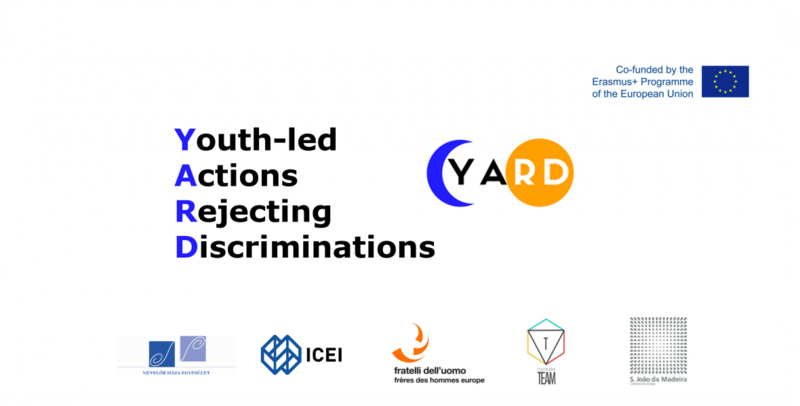 In fact, YARD project intends to contribute to fighting discrimination, fostering intercultural dialogue and the value of diversity among young people, by sharing, exchanging and transferring new and innovative non-formal methodologies to engage young people in becoming active agents of inclusive communities. The 2nd Transnational YARD Project Meeting was held in São João da Madeira, Portugal, from the 27th to the 30th June. On this occasion, all the partners involved have discussed about the work they’ve implemented during the past months and about the general situation they’re facing in their countries, according to the project main topic. The partners has also discussed about the Good Practices they want to share within the group to be put at test and adjusted in different local contexts to provide new tools and encourage more effective youth-led actions rejecting discriminations. The group also met the Mayor of Municipality of São João da Madeira, Jorge Sequeira Vultos and also some local journalists to talk about our project mission. The 1st transnational YARD Project Meeting was held in Lublin (Poland) in November 2017. A strategic kick-off meeting to discuss about the project, implement future activities and get to know each other!